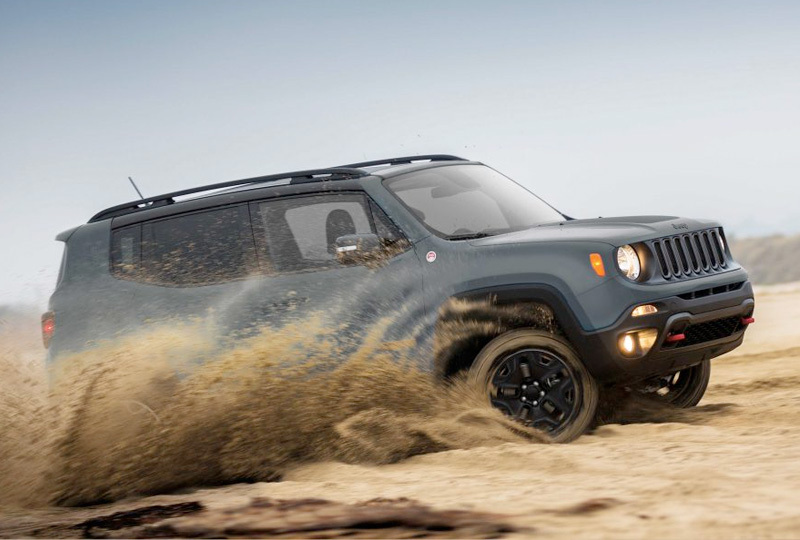 The 2018 Jeep Renegade at Briggs Chrysler Jeep Dodge Ram in Lawrence, KS - serving Overland Park, Shawnee, Kansas City, and Topeka - offers stunning features to make every adventure a fun and relaxing experience behind the wheel. Signature style is found in the iconic seven-slot grille and the recognizable trapezoidal wheel arches. Open up the cabin and enjoy some natural light with the available Command View dual-pane sunroof. A 1.4L Multi-air turbo engine fuels your desire to explore your world. Bring everything you need, including a few close friends or family members, with the roomy interior and convenient split-folding rear seats. Optional Uconnect entertainment brings Apple CarPlay and Android Auto support to your vehicle for seamless integration of your mobile smartphone. Standard conveniences, like push-button start and a Parkview rear backup camera, help you enjoy the drive and worry less about all the details. Drive home a new Jeep today from Briggs Chrysler Dodge Jeep Ram. We've got an amazing lineup of 2018 models, and new auto loan rates have never been lower. Take your test drive today at 2300 W 29th Terrace, Lawrence, KS. Test your will against Mother Nature's-and come out on top. Every Trailhawk® proudly wears a Trail Rated® badge, indicating its successful performance in five categories: Traction, Water Fording*, Maneuverability, Articulation and Ground Clearance. An exclusive Rock setting is also included in the Trailhawk Selec-Terrain® Traction Management System. 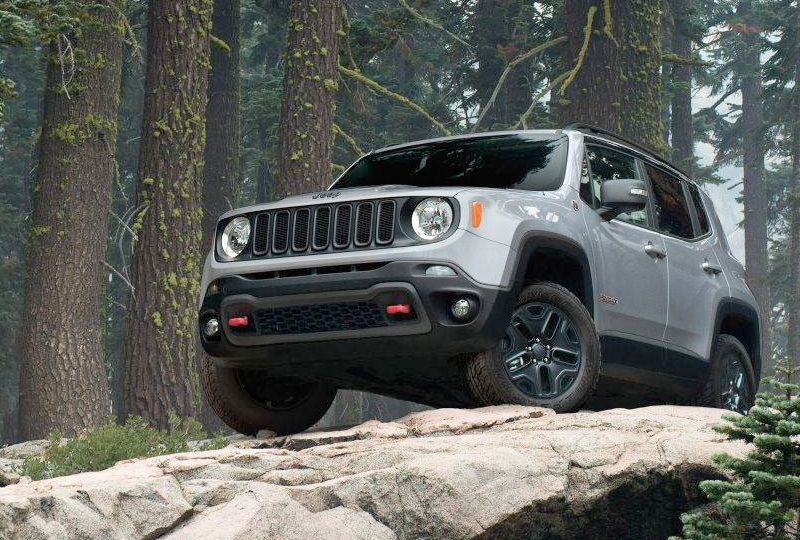 Tackle some of the toughest terrain on earth in the Jeep® Renegade Trailhawk® . Its Jeep Active Drive Low 4x4 System features a low-range single-speed power transfer unit and a 20:1 crawl ratio for added control when off-roading* or pulling a boat out of a lake. McKinley leather-trimmed seats in polar plunge feature perforated leather-trimmed inserts and matching stitching. High-gloss grillz interior accents are standard on the Renegade Limited. 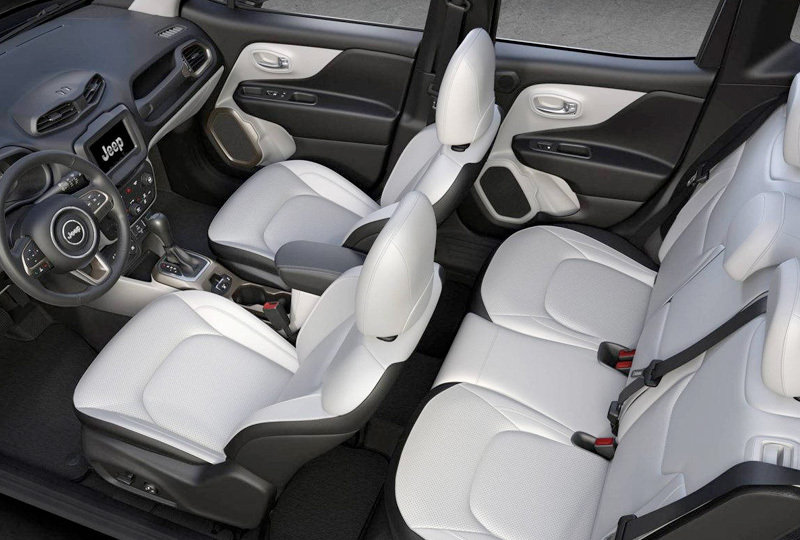 Front seats are heated for comfort and the driver seat is eight-way power adjustable with power lumbar support. 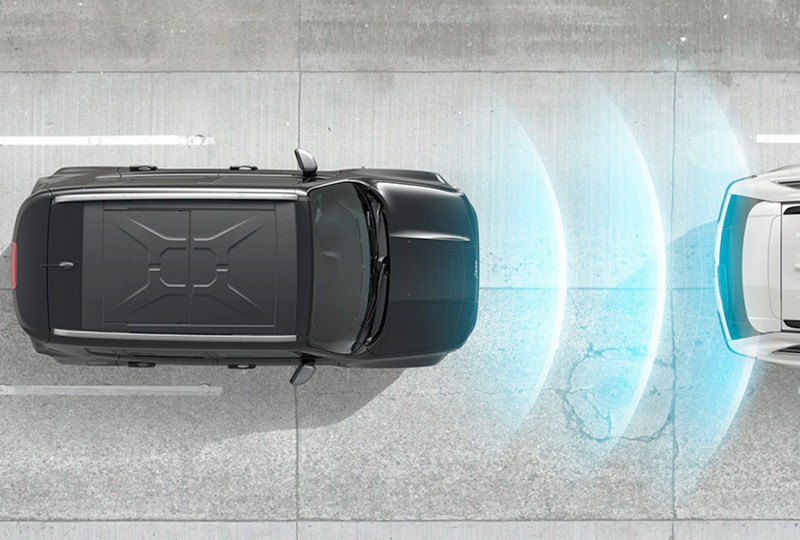 Available radar and video sensors detect when the Renegade may be approaching another vehicle too quickly and will send audible and visual alerts or even apply the brakes. *Do not attempt water fording unless depth is known to be less than 19 inches. Traversing water can cause damage that may not be covered by the new vehicle warranty. Always off road responsibly in approved areas. *Always drive within your ability and experience level and consistent with conditions. This system is an alert system for the front of the vehicle. It is not a substitute for active driver involvement. The driver must remain aware of traffic conditions and be prepared to use brakes to avoid collisions.